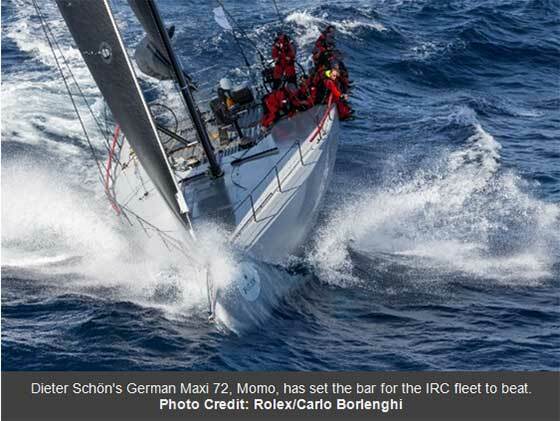 Dieter Schön's German Maxi 72, Momo, finished the Rolex Middle Sea Race on the fourth day of the race, setting the bar for the IRC fleet to beat. Whilst well over 100 yachts are still racing. Momo's time, corrected by their IRC rating, is potentially a race winner. There were no celebrations on board but the international crew of professional sailors did make their way into the Royal Malta Yacht Club to a warm round of applause and an ice cold drink. Momo's owner, Dieter Schön, knows too well that overall victory could still be won by several other yachts still racing. "The start went well for us and I think we performed perfectly all the way to Sicily but as expected, the first night was very difficult to find the right way. We parked a few times but we passed through the Strait of Messina very well and we were super downwind to Stromboli. In front of Palermo, we parked for maybe five hours. We got going again but came to another stop at Lampedusa, so there were a lot of parking lots around, which made it a difficult race to sail. However, racing in IRC, you have to wait for the last boat before you can win, perhaps we have won our class." 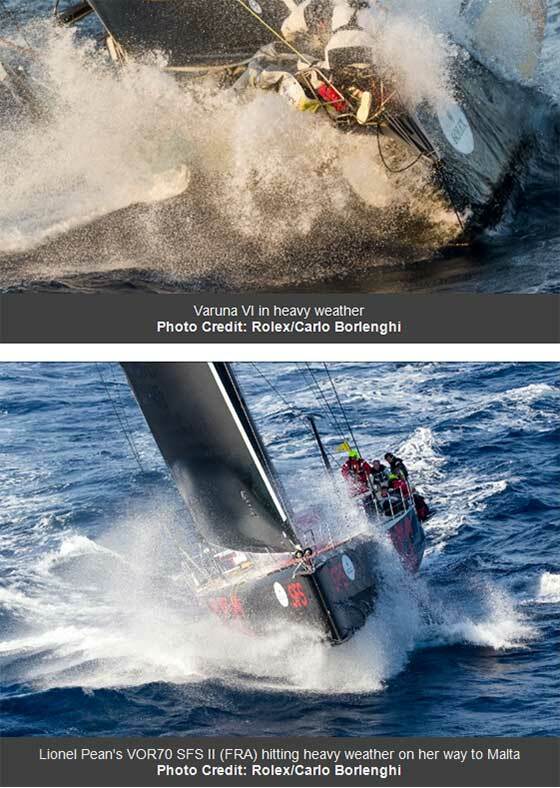 In IRC Two, the biggest threat to Momo's overall lead is from two Italian yachts, Michele Galli's TP52, B2 and Vincenzo Onorato's Cookson 50, Mascalzone Latino. However, Momo's performance in the second half of the race is exemplified by the fact that at Favignana, Momo was just minutes ahead of the two Italian yachts. By the finish, Momo was one hundred miles ahead. Mascalzone Latino and B2 are expected to finish the race late tonight or in the early hours of tomorrow morning. In IRC Three, the Turkish team racing Ker 40, Arkas Flying Box, was leading the class at Favignana and is currently winning the battle with the young Dutch team, racing Bastiaan de Voogd's Sydney 43, Coin Coin. Fresh pressure is expected to come from the northwest by Wednesday afternoon or Thursday morning, but every cloud has a silver lining. Weather models are predicting a Mistral, the cold northerly wind that is created by the Alps, and with it, there could be a significant increase in pressure, similar to last year's storm force finale. "Crew's spirits are high, even though there were some very frustrating moments when wind seemed to be non-existent and all the crew could do was sit and wait it out. Today has been better with the crew pushing hard to gain momentum and speed, although winds are getting light again but we know that big wind is on the way." Jamie Sammut, owner and skipper of Unica is taking part in his third Rolex Middle Sea Race. Last year, heavy weather forced Unica to bow out. Jamie and his crew are well prepared and determined to finish the race, Unica is currently at Favignana, the place at which they retired last year.